Our product range includes a wide range of collar type auger filler packing mnachines. By keeping track with the market development, we are offering optimum quality Collar Type Auger Filler Packing Mnachines. 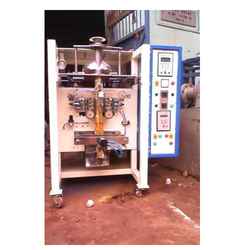 Provided filler machines are precisely designed to meet the requirements of different industries. Our offered filler machines are designed using supreme quality components and advanced technology in adherence with industry standards. Besides, these filler machines are praised by our clients for their quality attributes. To print M.R.P, Month of packing, Lot No. Etc. Helps in detecting manufacturing and expiry date.